A magazine in Germany is not pulling any punches when it comes to President Donald Trump. 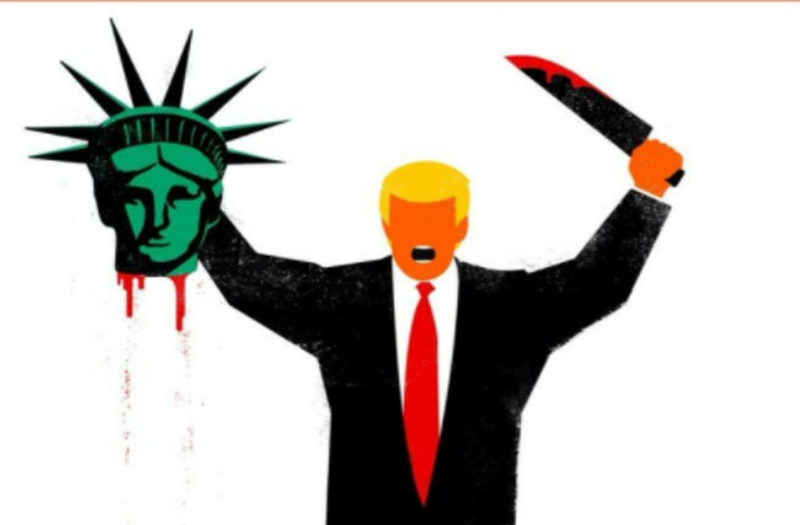 Der Spiegel released a new cover Friday depicting the President holding the head of the Statue of Liberty in one hand with a bloody knife in the other. The caption reads, "America First." And of course, the internet noticed. One user tweeted, "The Germans have always been a subtle people." Filmmaker Morgan Spurlock tweeted, "In case anyone was confused, this is how the world sees the new presidency." The cover of the New Yorker took a more subtle jab at the new administration. It shows the light on the Statue of Liberty being snuffed off.